One way to cheat the system, especially in the playoffs, is to save your game, then configure your lineup and sim the results. If you lose, don't save. Reset the game and reconfigure the lineup based on their previous performance against that same pitcher. When you win, save the game again. Repeat to never experience defeat. It's the fastest (cheapest) way to win a World Series. The world's most popular trivia game is about to become a wild free-for-all! 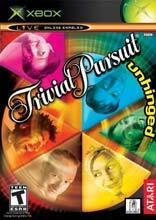 With incredible new game features, this all-new version of the Trivial Pursuit game rewards the clever, the speedy and the ..